Happy Valentine's Day everyone! 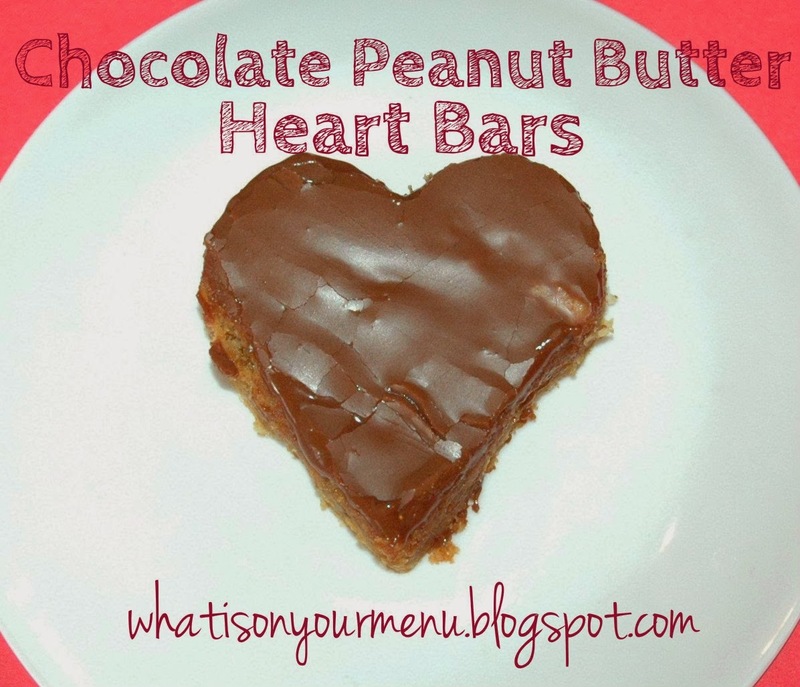 To celebrate, I made these fabulous peanut butter bars. Actually, I made them yesterday and I just remembered I forgot to put them in my daughter and hubby's lunches. Oops! Hopefully I don't eat them before they get home from. 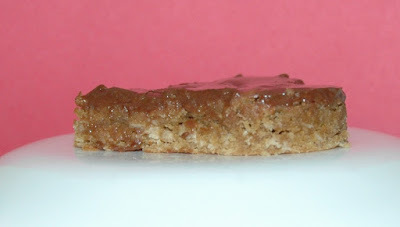 These are one of my favorite bar cookies to make ever. It's a good idea to make these to share with lots of people, so you don't eat the whole pan by yourself. Press in bottom of a 9 x 13 pan. Bake at 350 for 12 - 15 minutes. Frost with chocolate frosting. Chill in fridge.